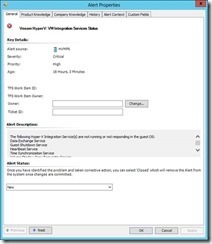 Maybe it’s not the most exciting news about our management pack, but we are renaming Veeam Management Pack for VMware to Veeam Management Pack v7 for System Center. The reason for the name change is much more exciting! Version 7 adds Hyper-V support to our management pack. All the good features and capabilities you know and love for vSphere are now available for Hyper-V management as well. The Veeam Management Pack v7 for System Center beta brings application-to-metal visibility into your Hyper-V infrastructure. In one single view you are able to see your hardware, virtualization layer, VMs, Operating System and applications. With Veeam Management Pack v7, it will be easier to know if your environment has an issue or to foresee possible issues. Everything you need to be aware of in your infrastructure on the virtualization level—from VM alerts on integration services, events, health state to host performance, cluster performance and much more—is integrated in this management pack. 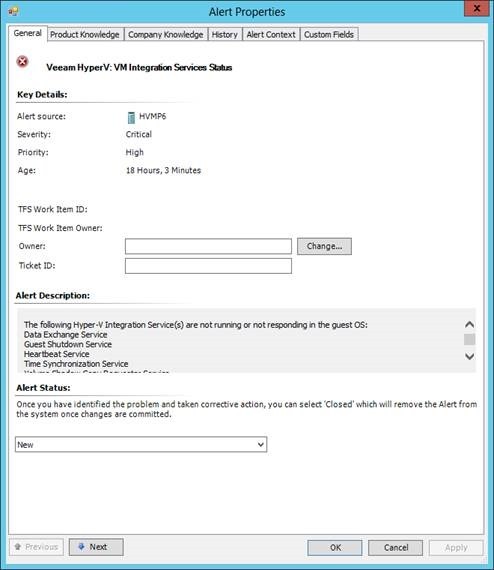 Veeam Management Pack for System Center brings unique dashboards and widgets to System Center. 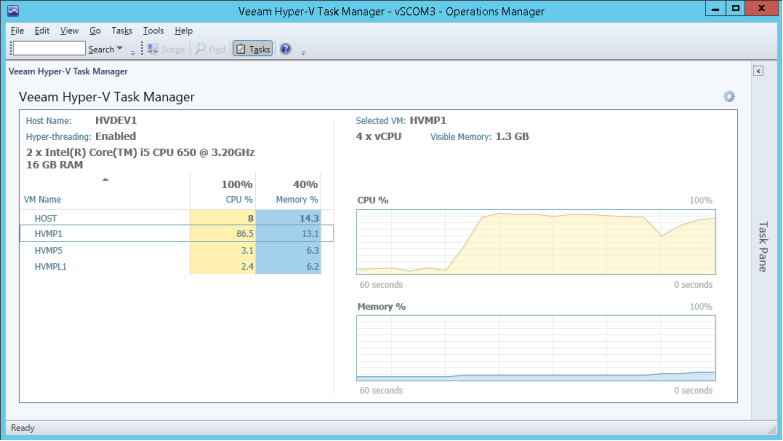 The Hyper-V Task Manager includes real-time host and VM compute metrics and can be launched in-context for any host object. 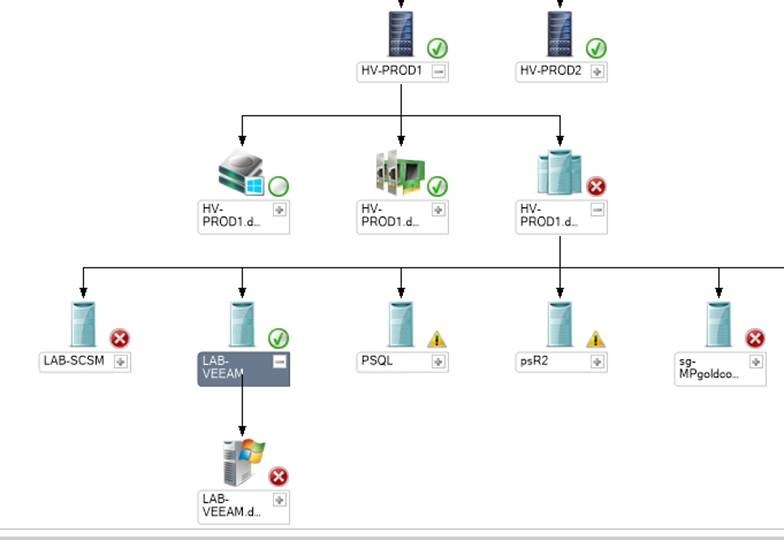 Veeam has enhanced the standard Top N widget from System Center by adding a traffic light feature. In the blink of an eye you can see whether objects in your environment are performing well (green), not so well (yellow) or poorly (red) based on YOUR thresholds. The Veeam heatmap widget gives you at-a-glance visualization of multiple metrics and is color-based so you’ll quickly see how your environment is performing. 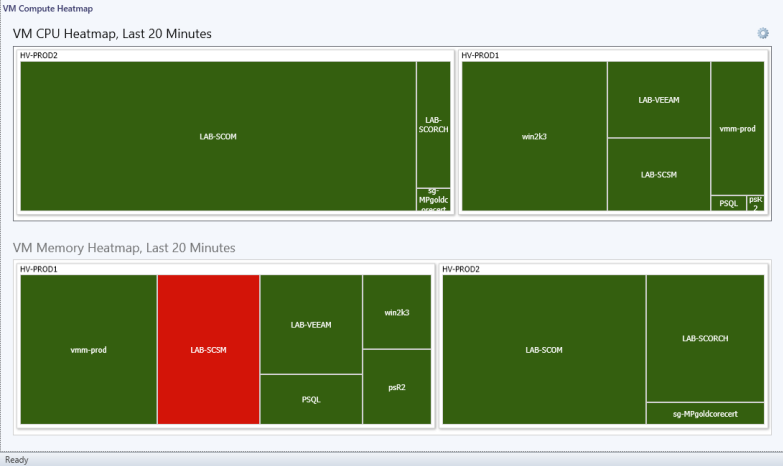 And finally, you already knew about Veeam Management Pack’s capacity planning reports, but now you can see this information in real time. 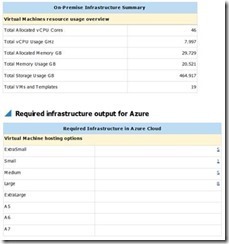 All of the reports that are available for vSphere—from capacity planning, what-if modeling, performance forecasting for clusters and storage to host-failure modeling and trending and the popular configuration tracking—are now available for Hyper-V. Everything is available to make sure that you can manage and monitor your infrastructure with the correct data and use those reports in your forecasting, purchase planning and more. And there is a new, very exciting report—well, actually two. 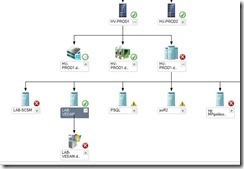 Veeam Management Pack v7 introduces capacity planning for hybrid cloud. 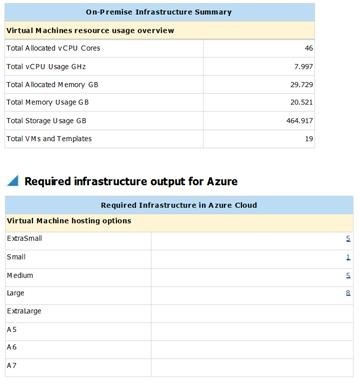 These reports will analyze your environment and tell you what kind of cloud IaaS resources you would need to run it, either for Microsoft Azure or VMware Hybrid Cloud Service. Register for the beta for Hyper-V today! You can see this for yourself by downloading the beta! The public beta includes the Hyper-V capabilities but does not include the vSphere capabilities. If you are at TechED NA in Houston, visit our booth to see a demo!